Grant Cardone is CEO and founder of Grant Cardone Sales Training, is a New York Times best-selling author with his 2010 book ‘If You’re Not First, You’re Last’, is the lead and executive producer of the US reality TV show ‘Turnaround King’ and he was named the Top Sales Expert and a Top 10 Business Coach to follow on Twitter. 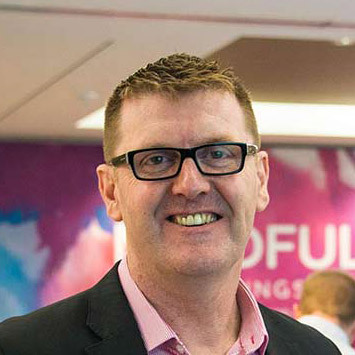 His latest offering, The 10 X Rule, has a core message – to take massive action. If you want to be successful, Cardone contends you need to show up, be all in and put in 10 times the amount of effort and actions than the average person. The starting point for exceptional results is to set clear targets that are 10 times what you think it will take to accomplish the task. You then need to multiply your actions, time, energy, efforts, and money, basically by 10 – The 10 X Rule. Cardone wants us to ‘quit being reasonable with ourselves’ and wake up and start doing what’s required for a successful life. A successful life is not just business orientated goals, he is talking about all aspects of life; relationships, money, career, spiritual, emotional, business, philanthropy, community, etc. 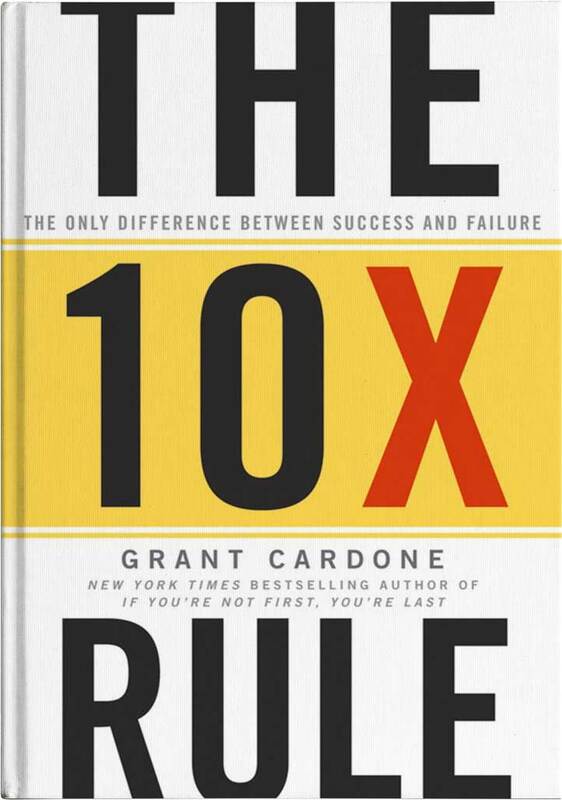 The 10 X Rule is a book that I would not necessarily recommend to everyone and it’s not a book that I particularly loved from start to finish. In fact, Cardone as an author will make many people uncomfortable and I am sure he will divide his readers. Cardone deplores the excuses people tell themselves about not meeting their goals and he is not interested in a life of being average or the clichés around balance. “I personally am not interested in balance: I am interested in abundance in every area. I don’t think I should have to sacrifice one in favor of another.” Cardone is only interested in attaining your goals, with success being absolutely critical. I must say, reading The 10 X Rule both frustrated and delighted me. Personally, I found myself thinking that Cardone’s message is so over the top and that it was hard to not perceive his message as arrogant, or at least reading an over achiever’s rant to the world – with only the rare few that could possibly replicate the approach he is recommending. However, this was also combined with loving the fact that Cardone is provocative enough to say how it is and brave enough to put a reality check out there; that having a successful life requires extreme hard work! It has been a long time since I read a leadership or motivational book that challenged me to not only reach my goals, but in fact to start multiplying them by 10 and stop playing it safe with an average life and starting to question how much courage and commitment you are prepared to give to strive for true success. Part of the reason I wanted to review this book for Proteus Life is because it is rare to find a book on motivation that is so provocative and challenges people’s inaction and the many excuses we tell ourselves why we fail. The 10 X Rule might be just what you need to shake things up, recalibrate your thinking and give you a reality check on what is really required for a successful life. Plus, Cardone’s absolute clarity in one simple formula – take massive action!